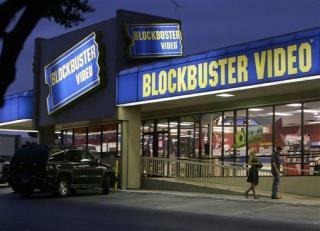 (Newser) – The manager of a successful Blockbuster Video outlet has given an interview to CBS News—and they didn't have to take a time machine back to 1997 to speak to him. Kevin Daymude runs a Blockbuster outlet in Anchorage, which is one of several locations in Alaska that survived after the parent company closed its last few hundred outlets in 2013. "I can’t tell you how many business cards I've given out to people 'cause they literally do not believe that I'm from Blockbuster," says Daymude, who has been with Blockbuster since the days of VHS. "I feel like a lot of the customers just want to come in and feel like they're someone special," he says. "They love the customer service, they love the interaction." I also miss going to the arcade. Those video games were fun. I liked the table top centipede. Blockbusters handicapped parking in Georgetown Ky is where the Creator put the Holy Wire Pliers across my coil terminals to tell me to keep out of handicapped parking. A mattress place there now.